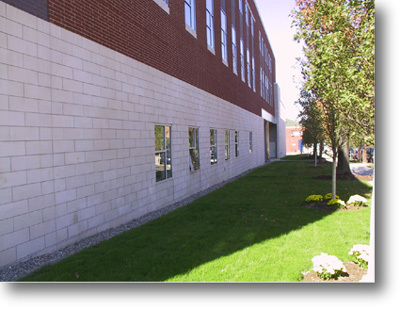 Russell Veneer Stone is an economical, modular Cast Stone veneer unit that significantly exceeds the standards set forth for manufactured masonry units, while meeting the standards established by ASTM for Architectural Cast Stone, at a significantly reduced cost. It is made from the same high quality architectural aggregates, such as limestone, marble and quartz that Russell Cast Stone has been using for decades to manufacture it�s renowned ornamental products from coast-to-coast. The finish of Veneer Stone is fine-grained, similar to a good grade of limestone with a dense texture and rock-hard edges. All units are steam cured for long term durability. It is suitable for use within a composite or load bearing wall system using conventional masonry, steel stud, concrete or structural steel backup. The traditional details used for conventional Cast Stone can be almost universally applied to the modular units. For a no obligation quotation, click on a style shown to the left, then select a product number by type and size. The shopping cart allows you to adjust quantities and lineal footage. We will email you a quotation which will be based upon the selected items and quantities.